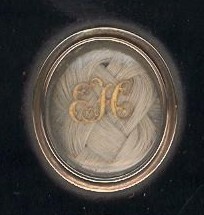 The unique presentation of this portrait is particularly eye-catching with inset roundels of plaited hair surmounted with gilt initials. The colour of the hair pieces range from light blonde to mid-brown and are most likely love tokens from the sitter’s children. 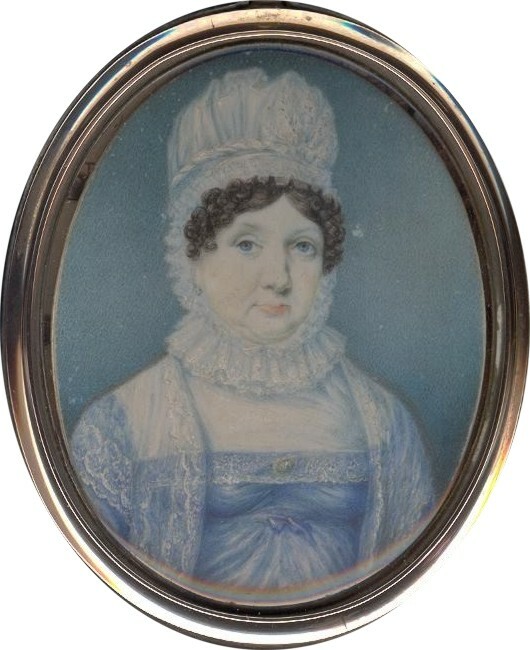 The sitter herself is a matronly lady in a cornflower blue (that matches the colour of her eyes) Empire-line dress edged with fine white lace and worn with a ruff collar fill-in and a lace tippet or shawl. 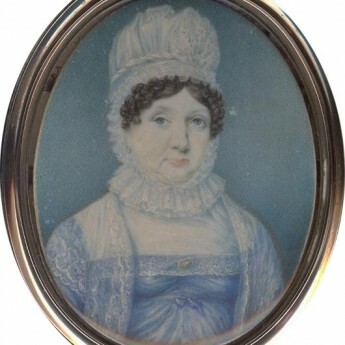 Her cap is fastened under the chin with a ribbon bow. 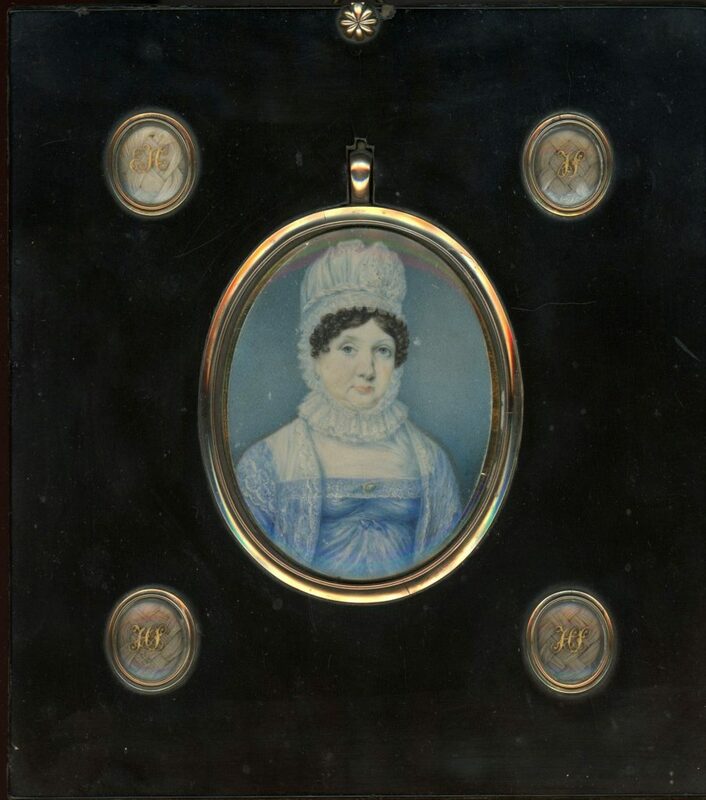 The portrait is housed in a gold frame that has subsequently been set into a larger papier-mâché frame with the hair roundels – this may have been to mark the lady’s death. 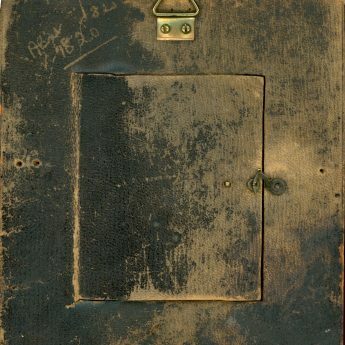 The reverse of the frame is backed with old leather and has a hinged door fastened with a C clasp. 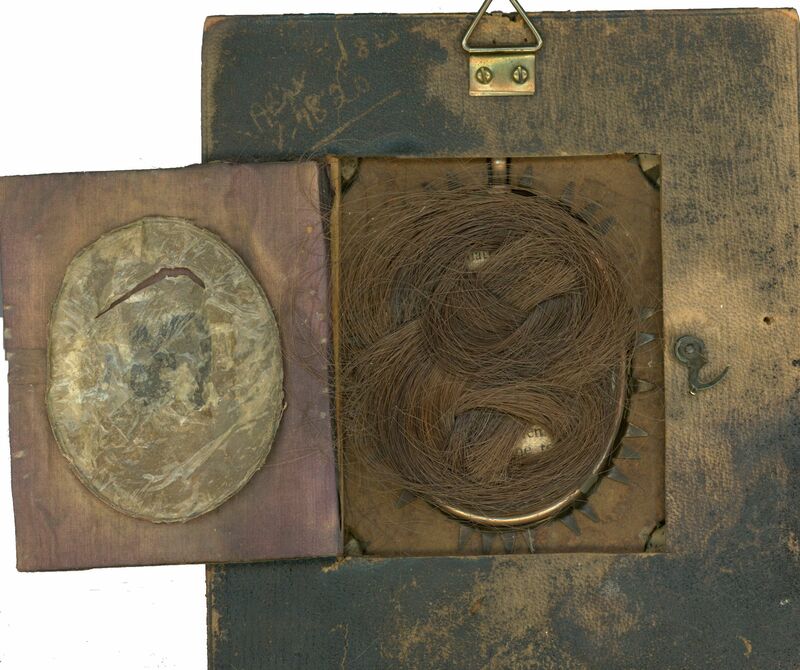 Upon opening, a thick plaited lock of the lady’s dark brown hair is revealed. 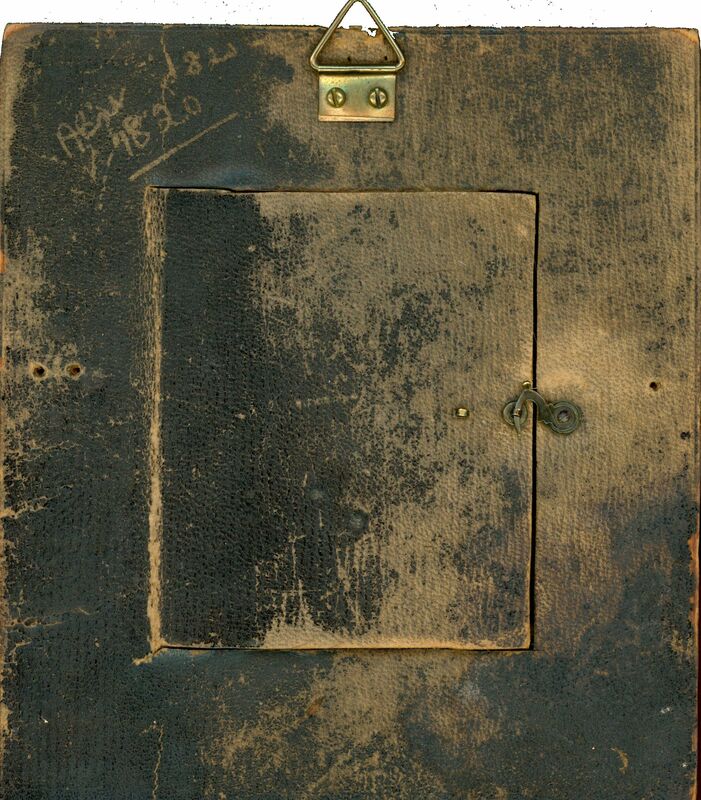 The date 1820 has been scratched into the leather. Very good condition with just a tiny spot of paint loss to the right of the sitter’s face. 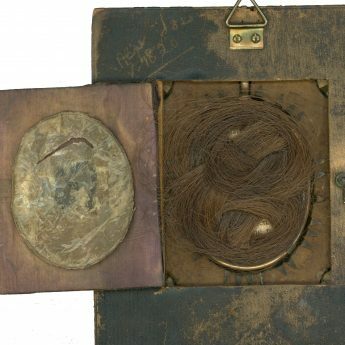 The original hanging ring has also been replaced.